Should I Buy Pre-Owned or New? There is no one-size-fits-all answer. Every situation is different. But perhaps after reading this, you’ll have a better understanding of which way you should go. 1) Do I really need a new car? This is the question only you can answer. Why exactly do you NEED new car, if you can live with an almost pristine Quirk Certified car? It may be a few years old but with low miles, it’s like new. If that works for you, then the question is already answered- go pre-owned! Maybe you want that new car smell, that’s actually brand new, with only 21 miles on it from driving around the lot. But if you need to be swayed one way or another, keep on reading. 2) Do I have a large down payment or a trade-in with equity? If you have a down payment average of $4,000 for a 5-year car loan or a great trade in, then you’re GOLDEN when buying a new car. But if you can only put down a small down payment or have a low trade in value car, then pre-owned is for you! In general, when you purchase a car, you’ll want to put down 10% of the vehicles sale value. 10% of 24,800 is $2,480. 10% of 17,000 is $1,700. 3) What would my monthly payments look like? Debt-to-income ratio– This is the measure that determines whether you have the funds to pay back the loan. The more income you have- the lower your rate. Amount borrowed and down payment– If you put down a significant down payment, it lets us know that you will pay off the rest in a reliable amount of time. Age of vehicle – Older vehicles tend to have higher APR rates because their depreciation has already begun. Length of term– used cars have smaller terms, new cars have longer terms. It’s not a huge length, but it’s enough. 4) What about other costs?! Cars just don’t have a price tag, they have insurance, fuel costs, and maintenance costs. Well, Insurance premiums cost a little bit more than used cars. It also has to do with age, driving record, retirement standing, marital status, etc. There are some other factors about where the car will be parked at night, where you live, and miles driving each year. Unfortunately, older cars tend to have higher insurance premiums. But rest assured there are ways to save, even with an old vehicle. I have a VERY USED 2003 Ford Escape with 155,000 miles on it. My insurance premium was high. But I ended up getting my insurance payment cut in half. How did I do that? I bundled my car insurance with renters insurance and also got a nifty app from my agent. So don’t fret that even though, on average, costs are higher for used car insurance. You can find a good deal, especially pre-owned. The fuel economy isn’t too much of a difference – Check this out on many pre-owned cars vs new cars. Depending on the age of the car, the fuel economy will be much different. But cars at Quirk Pre-Owned aren’t old enough to have low fuel economy. Older cars tend to need more general maintenance and repair than their brand new counterparts. We, at Quirk, honor the original warranty and it’s fully transferable. Although, sometimes original manufacturing warranties are up with Quirk Pre-Owned we offer comparable warranties to help protect you and your new-to-you car! Older cars also need a little more elbow grease to keep them in tiptop shape, which can sometimes burden your budget. But, as long as you treat it with the same care as you would a brand new car, your pre-owned car will last you a long long time. A used car that has lost more of its value over time can save a consumer money, but it is important to consider all variables to determine whether a lower price truly saves money or not. 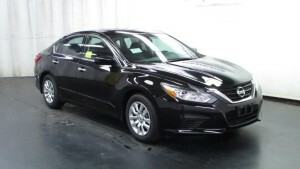 So you’re getting a great deal on the Nissan Altima, only two years old, low miles, and for under $17,000. So you’re saving $7,000 for a car with $28,000 miles on it. I’d say that’s a pretty amazing deal. Now, where do you stand? Pre-Owned or brand new? 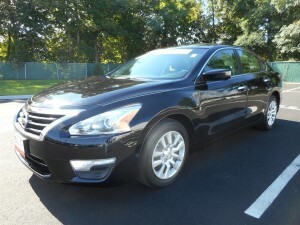 My heart screams NEW but brain with all it’s budget and practicality, so it screams PRE-OWNED. It looks brand new, we promise you it smells brand new, and has a similar lifespan. If you’d like to come down for a test drive or speak to ANY member of our wonderful sales team, head down to Quirk Pre-owned today!